Malayalam Actresses in Trouble in Bharathiraja Film! 'Iyakkunar Imayam' is currently directing the film 'Annakodiyum Kodiveeranum' with its shooting progressing in the district of Theni. 'Ko' Karthiga and 'Vaagai Sooda Vaa' fame Iniya are doing the leading ladies in the film, but a new trouble has cropped for these young actresses from none other than the director himself! Yes, Bharathiraja, who never fails to raise his voice in the interests of Tamils has now come up in open in the support of Tamil cause in the issue of Mullaperiyar Dam, staging protest against the Government of Kerala. As a mark of his protest the director has asked his heroines Karthiga and Iniya, who hail from Kerala, to pack their baggage from the sets till the Mullaperiyar Dam issue is resolved. 'Annakodiyum Kodiveeranum' has Ameer in the lead role along with female leads Iniya and Karthiga. G V Prakash Kumar is scoring the music. The audio launch of Nanban took off at around 5 pm at the Hindustan College Grounds in Coimbatore yesterday. Vijay's dad and director SA Chandrasekar released the audio which was received by Prabhu. Vijay entertained the audiences by singing the Yedho Unnale song from the film. During this speech, he thanked director Shankar for giving him the opportunity to star in Nanban. 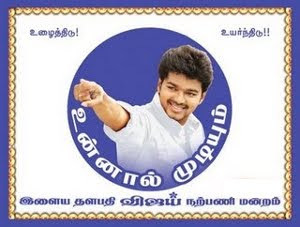 Vijay added that he made several true friends during the making of Nanban and attributed this to the film's title. The star was indicating that Jiiva, Srikanth, and others are his good friends and is happy to be associated with them. He was then honored with an enormous garland and a crown. Shankar had an interesting episode to narrate about how he came to direct a remake. When Shankar was busy with Endhiran, the shooting was delayed one fine day. This earned him an opportunity to see 3 Idiots. As soon as he saw the film, Shankar said that he decided to go for a remake. That is how Nanban was born! 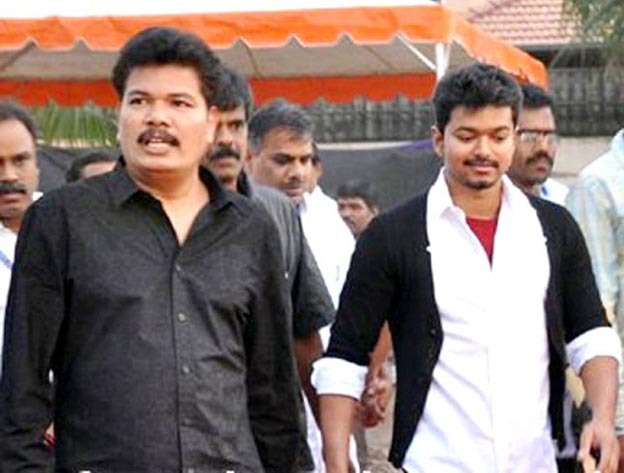 Praising Vijay, Shankar said that he is one actor after Rajinikanth to be present on the sets punctually. Shankar revealed that SJ Suryah lapped up the role in Nanban, something which he did not do even for Endhiran. That is how meaty his role is in Nanban, added Shankar. Jiiva, Sathyaraj, Srikanth, SJ Suryah and others had good words to share about their co-stars. Lots of big tickets are on the row of hitting screens and the medium 'n' low budget movies have to find the right time to gets it way on. 'Kazhugu' is directed by Sathya Siva and is produced by Krishna's father Pattiyal Sekar. Titles of Superstar Rajnikanth's movies have always served as an additional factor to steal the public glare. Perhaps, 'Kazhugu' will score more than this very factor for the director utters that it's a completely different film with an interesting plot. Actor Krishna has been choosing unique scripts rights from his debut movie and this one isn't going to be an exception. The film will hit screens on January 26, 2012 for the occasion of Republic Day. Bindhu Madhavi of 'Veppam' fame plays Krishna's love interest in the film. Actor Vikram today met the press at Residency towers Chennai. Answering to a question about his recent release Rajapaattai, the actor says though the film received mixed reviews, the viewers enjoying the movie in theaters. The producers of UTV Motion Pictures and Thirrupathi Brothers are leaving no stones unturned with their upcoming film 'Vettai'. Yuvan's songs (not to miss the pick of album – Papa Papa Pappappa) and the great flashes of teasers have spread the 'Vettai' mania across the towns. It's a rare combination of two greatest production houses coming together and they're all set on the promotional spree for the film scheduled to hit screens on harvest festival (Jan 12, 2012). Touted to be a family entertainer, the film is sure to cater to the tastes of universal audiences. The film with an ensemble star-casts of Arya, Madhavan, Sameera Reddy and Amala Paul will open big worldwide nearly in 600 screens. Looks like Nayan has decided to act in another project after what was supposed to be her last - the Telugu movie Ramarajyam. She played the role of Seetha in Ramarajyam and won accolades for her performance. As it seems, after watching her play Seetha for the movie, Ram Gopal Varma is mighty impressed with her performance and offered her a role in his upcoming movie inspired by Ramayana. Although Nayan and Prabhu Deva refused initially, RGV's persevered until they relented. As a result, Nayan will play the role of Mandodari - Ravana's wife - in the movie. Ravana's character is played by Nagarjuna. 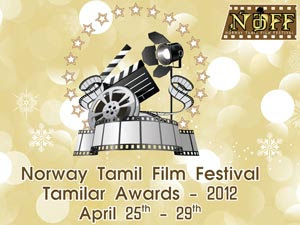 The Norway Tamil Film Festival will start on April 25th and go on till the 29th. This five-day event will be quite different from what it was previously. Several programs have been added to this event to make it popular. Tamil feature films and short films are invited to enter this film fest. Selected films and short films will be screened at this event and two people associated with the film will be sponsored to attend this event in Norway. The organizers will sponsor for the participants' Visa, boarding and lodging. Only participants from Tamil Nadu are eligible for this sponsorship. Selected films and short films will be announced during the second week of January.